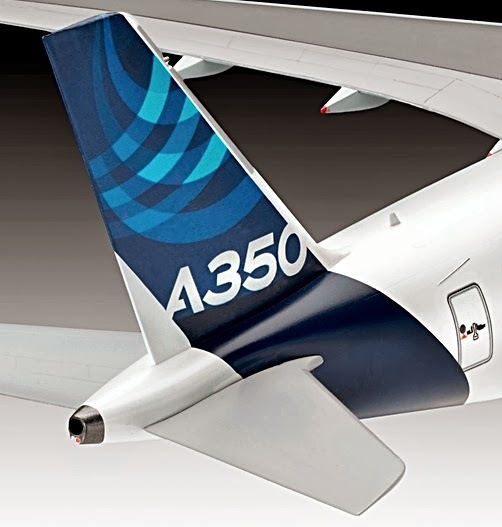 Jetliner fans: this latest Revell airliner is for you, as it features the latest twin-jet from Airbus, the A350-900 XWB, which first flew in June 2013. 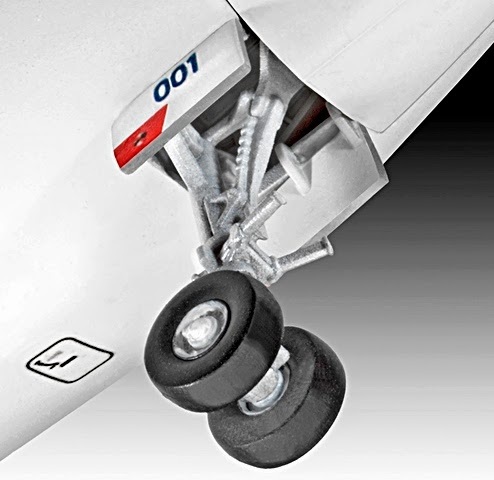 The A350-900 XWB kit is neatly detailed and moulded, and now Revell has shown us a model that’s finished and painted. 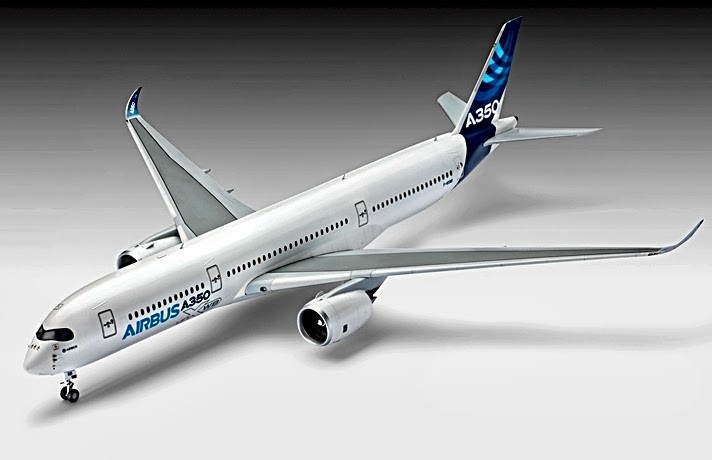 We’ve featured this Airbus kit in August and November 2013, so it’s good to see the kit moving on from test-shot to general release. 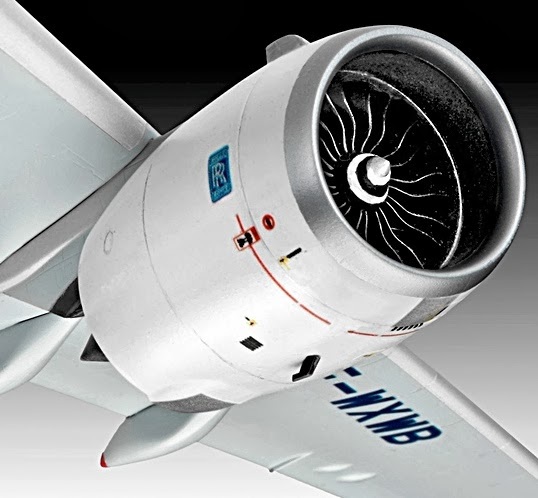 It certainly looks about as good as you can get in 1:144 scale, and will compare interestingly with the latest Revell Micro Wings combat aircraft to the same scale. Let’s have some current combat machines too, please Revell! 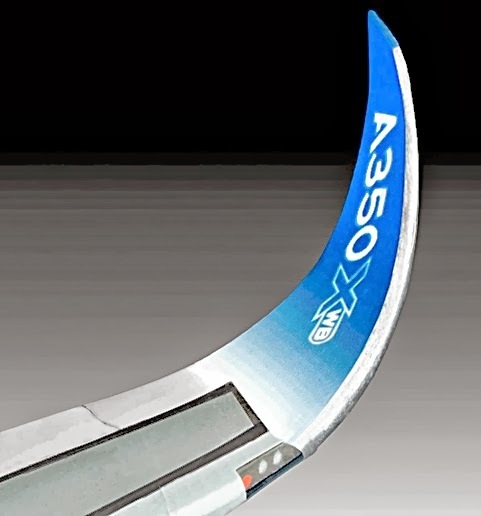 There are plenty of tiny portholes in this A350-900 kit, and if you feel like experimenting, try the technique shown in tomorrow's video to see if the results are more convincing than traditional moulded porthole strips. Ideally, you could try one side using liquid, the other with press-mounted components, as supplied with the kit. Then compare them both to see which looks best. Nice looking kit that models the latest big-twin airliner well. 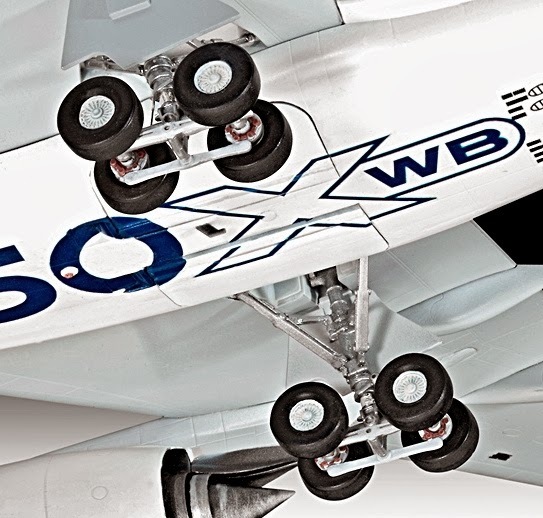 And it is a big aircraft - even at 1:144 scale, the Revell A350-900 XWB still measures more than 460mm (18in) long. 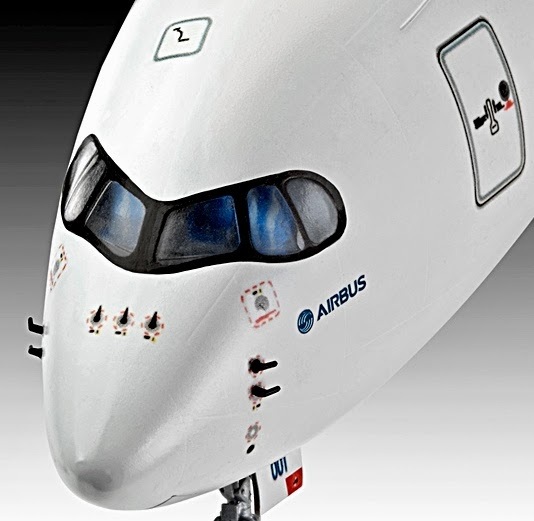 Inspect the Revell Airbus kit range here.